If a person is charged with driving drunk in New Jersey, it is a traffic offense that carries with it punishments such as fines, surcharges and potential jail time. The amounts can vary depending on the blood alcohol content in the driver’s system, how many times they have been convicted of the offense, where it happened and other factors. Often, when charged with DWI, there are other incidents that can result in being charged with disorderly conduct. While it’s often referred to as “drunk and disorderly,” that’s not an actual charge under New Jersey State law. In reality, it’s referred to as disorderly conduct while being under the influence in public. Of course, a person can be charged with disorderly conduct without being drunk. Examples of actions that can result in being charged with disorderly conduct including fighting, behaving violently, creating a dangerous situation for no reason and threatening. If a person uses offensive language in a public place, that too can lead to charges of disorderly conduct. The charge of disorderly conduct will either be a petty disorderly persons offense or a disorderly persons offense. Much like DWI, this is not a “crime.” But also like DWI, it carries with it penalties that make the difference between a crime and a traffic offense/disorderly persons offense seem meaningless. If there is a conviction on charges of disorderly conduct, the person will be subject to jail time for up to six months and fines for $1,000. If the charge is a petty disorderly conduct, the fines can be for up to $500. Being arrested for DWI is bad enough, but when adding a disorderly persons offense – petty or not – the penalties can end up being significant. For example, if a driver is stopped on suspicion of DWI, takes the field sobriety tests and breathalyzer test and has a blood alcohol content of 0.08% or higher, there will be a DWI charge. With a conviction for a DWI first offense, the driver will be facing 30 days in jail, fines and surcharges. The surcharges will be $1,000 per year for three years. Fines will be $100 to the Alcohol Education and Rehabilitation Fund (AERF) and the drunk driving fund. $230 will be paid to the Intoxicated Driver Resource Center (IDRC). $75 will be paid to the Neighborhood Services Fund. 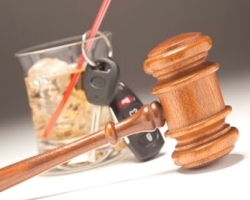 If prior to the drunk driving charge, the driver had gotten into a fight in a bar and will be charged with a disorderly persons offense, the penalties can begin to mount to the point where this one series of incidents proves to be immensely costly to the individual. With jail time, fines, increased insurance rates and surcharges, it can be an expensive endeavor for a person who is confronted with these charges. If a person is arrested for these charges, it is important to try and formulate a reasonable defense to avoid the punishments accompanying them. When a driver is stopped on suspicion of DWI, the law enforcement officer must have a justifiable reason to make the stop. If the car was weaving on the road and the officer witnessed this, then that is enough to make the stop. The police, however, can’t simply stop a vehicle just because they feel like it. Whether the driver was drunk or not, the traffic stop might not be valid if there’s not a legitimate reason for it having been made. The best case is that there is not enough evidence or the evidence is weak enough that the prosecutor will be willing to arrange a plea bargain. Technically there are no plea bargains for NJ DWI but the prosecutor does have the option to not pursue charges when the evidence is weak and this is where your lawyer can discuss options with the prosecutor. When the officer is speaking to the driver, an assessment will be made as to whether there’s evidence of drunkenness. This can include slurred speech and glassy eyes. Then the officer will ask the driver to submit to field sobriety tests such as the walk and turn test. Then there will be a breathalyzer test. The officer must observe the driver for 20 minutes prior to giving the breath test to make sure the driver didn’t regurgitate, smoke a cigarette or do anything else to compromise the test’s accuracy. If the driver registers 0.08% or above, there will be an arrest for DWI. If the driver is under the age of 21, the limit is 0.01%. For commercial drivers, the limit is 0.04%. The breathalyzer machine must be properly calibrated and the officer must have certification to give the test. If these rules are violated, the charges could be dropped. There might be a reason for the disorderly persons offense having occurred that a defense attorney can point to such as the fight having been started by another party. With the litany of penalties that come with a conviction of DWI and a a disorderly persons offense, it is important that a sound defense is presented.